DOWNLOAD THE FREE LANDING BAG FOLDER NOW! 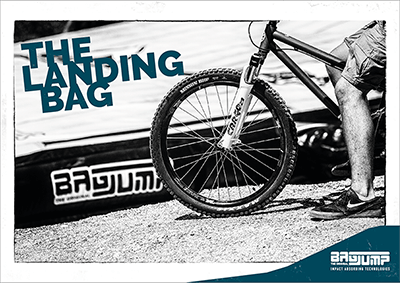 Whether you want to find out how you benefit from BAGJUMP® Airbags or how to transform your action sports business, you'll find the answers to your questions right here. Download our Landing Bag folder now! By downloading the Landing Bag folder you understand and accept that the information that you have entered may be used for marketing proposes and that we may contact you by e-mail.